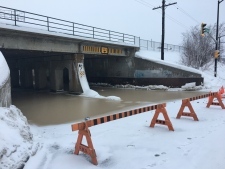 The City of Greater Sudbury says the water main break at the College Street underpass has been fixed and has been reopened to traffic around 2 pm Wednesday afternoon. A water main break has flooded the College Street underpass in downtown Sudbury forcing a shutdown of the roadway. Cracks can be seen in the roadway where water bubbled out early Wednesday morning. 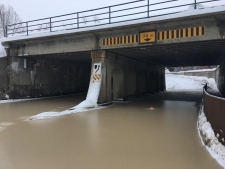 The water flowed to the underpass where it then froze. Nearly two feet of water has pooled in the underpass between Pine Street and Frood Road, making it impossible to pass. Crews say the repair could take the rest of the day. One worker tells CTV News there is approximately five feet of frost beneath College Street. The same worker says the cold weather is responsible for the break. 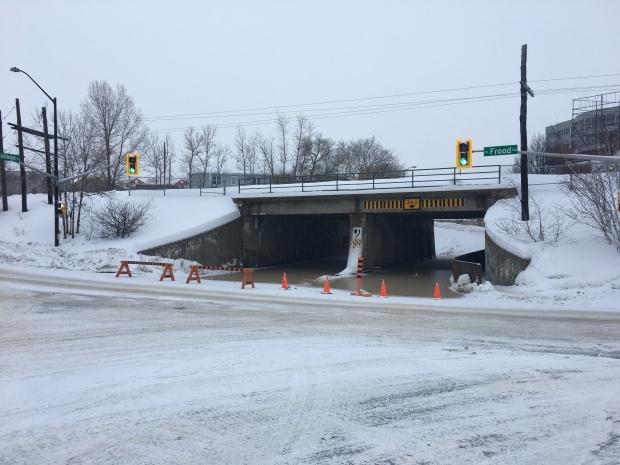 A water main break in Sudbury has closed the College Street underpass between Frood Road and Pine Street Wednesday morning. Crews are working to repair the damage. CTV Northern Ontario’s Matt Ingram was at the scene and will have more information soon.